Here’s a how-to on the popular rule-bending DisneyBounding. Most kids in the United States have memories of sitting in front of a television with a Disney VHS tape playing. I, for one, know that most of my childhood revolved around Disney films. To this day, I still pull out my giant box of tapes, hit rewind to get to the beginning, and sit around to relive my younger days. One of my favorite places on the planet is Disneyland, and just recently I visited the magical realm as one of my favorite characters: Winnie the Pooh. However, wearing Disney costumes is banned in the parks so that children trying to find their favorite characters aren’t confused. So, how did I do this, you might ask? I decided to DisneyBound as the honey-loving bear. DisneyBounding is when you subtly dress up as a character from any Disney film by making a normal outfit match the character. For example, if you wanted to DisneyBound as Snow White, you could wear a blue shirt, yellow shorts, and a red headband. You can decide for yourself what kind of clothing you’d like to wear, but a general rule of thumb is to stay along the same color scheme. 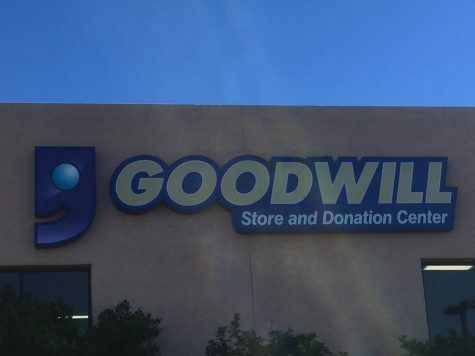 Goodwill and other thrift stores would be the best to find the articles you need, because they’re cheaper and you can find more unique things. 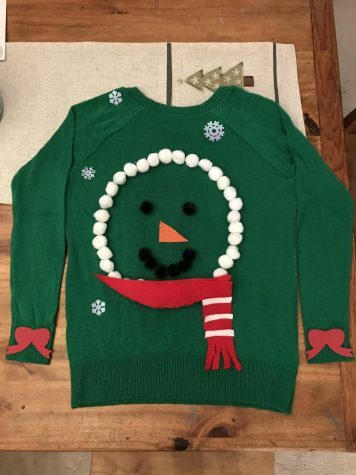 You can also add Mickey Mouse ears styled like your character to add a classic Disney touch or put a pin of the character on you to hint to who you are. 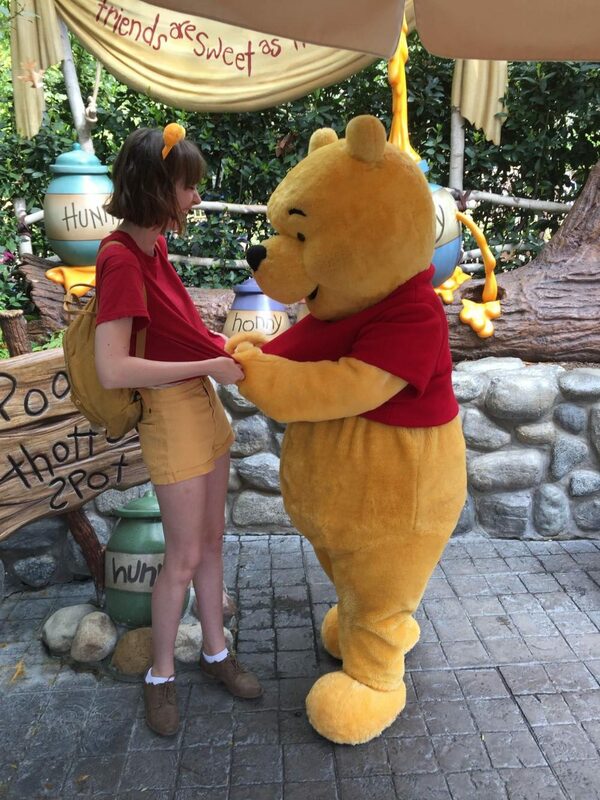 When I DisneyBounded as Winnie the Pooh, I felt much more in the “Disney mood,” and I absolutely loved seeing how Winnie, Tigger, and Piglet reacted when they saw me. Other cast members around the park greeted me as Winnie as well. If you want a full, magical Disney experience, I’d definitely go in a DisneyBound. It’s a fantastic creative outlet, and it transports you back to how you felt when you were little. Below are a few DisneyBounds I put together to gather inspiration from. This Daisy Duck DisneyBound includes a white off-the-sleeve crop top, a poofy pink skirt, a purple cape-like shawl, teal flats, a signature pink bow, a duck necklace, and duck earrings.